Vaccines save lives, and protect hundreds of millions of people from the suffering caused by debilitating, often deadly, and very preventable illnesses like polio, smallpox, and measles. 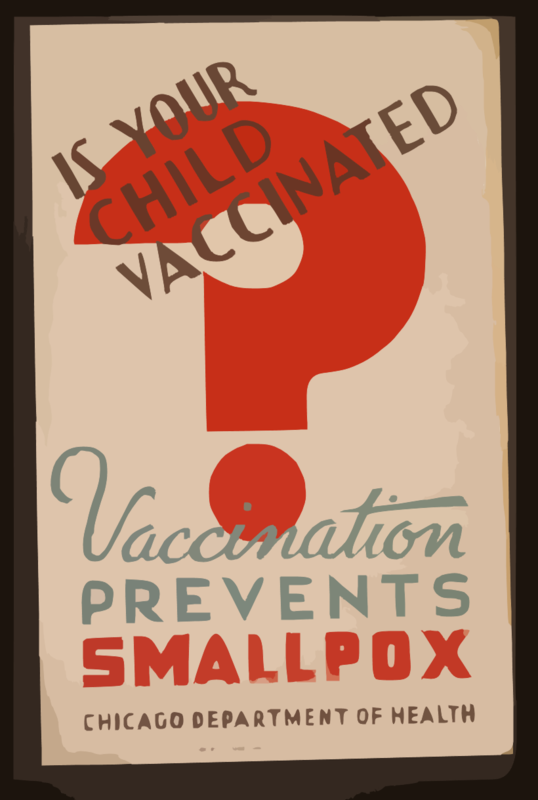 Vaccinating your child is not only the right thing to do for THEIR health and safety, it also protects vulnerable members of society (very young infants, immune-compromised individuals, etc.) through herd immunity. You would not be allowed to play Russian Roulette with your child, nor hand them a loaded weapon and send them to school, so you likewise should not be allowed to be so cavalier when it comes to serious and deadly viruses. In short, I believe that protecting children and society from preventable illness through the use childhood of vaccinations should be mandatory for Canadian families. So why do I think signed informed consent for the vaccinations administered at schools should be mandatory as well? When I first began to consider the idea of mandatory vaccinations for children I was surprised to find that while I did not believe in parents using the health and welfare of their child as a test of the strength of their ideology/religion/pseudo-science based health fears, I was very uncomfortable with the idea of schools or other public bodies vaccinating children without at least having parents sign something saying they understand what’s going to be happening. I know that underlying this discomfort is my ever-present and mostly unfounded general anxiety about “slippery slopes”–if power is taken from parents in this medical matter, will parents still be able to have a say in other medical issues that affect their child? We all know parents who have had a sick child, refused to accept the original diagnosis/proposed treatment given to them by a first doctor, agitated for a second opinion, and turned about to be right. In a medical system staffed by well-meaning but chronically overworked healthcare professionals, a parent’s right to fully understand (and, if necessary, question) their child’s diagnosis and proposed treatment may be the child’s best bet for a positive outcome. All this being said, as one of my friends pointed out over dinner the other night, there is a big difference between mandating safe, effective, and scientifically-backed childhood vaccinations, and just letting doctors run willy-nilly over the rights of child patients and their parents. “Slippery slope” fears are usually just that–fears. My real reason for believing that parental consent should still be required prior to vaccinating a child is simply that kids are generally not in a very good position to advocate for themselves, or to inform health professionals about their medical history. Though I don’t agree with this BC family’s reasons for wanting to decline a diphtheria vaccine for their 14-year-old daughter, the fact that “mature minor consent” is considered enough to vaccinate a child in school is a bit troubling, simply because not all “mature minors” are aware of adverse vaccine reactions in their history (or at the very least, may require a special vaccine made using a different compound), and those who are aware of issues may not know how to declare them. It’s not that I don’t trust 14-year-olds to be competent participants in their medical care per se, it’s that the conditions under which a 14-year-old may take the initiative to go to their doctor to privately discuss a health issue, and the rush-rush and very public conditions under which I remember being pulled from class in junior high for my tetanus booster are very different. If, as the young girl in the article claimed, the nurse did not even ask about any history of adverse reactions before administering the vaccine, how can any kind of informed consent be claimed? If the adults in control of the situation (i.e. the schools and nurses) do not take the time to ask the required questions about medical history/conditions and give young people a safe and confidential place to answer them, there are few 14-year-olds who would feel comfortable putting on the brakes and declaring concerns (and most of our laws surrounding appropriate conduct and use of positions of trust and authority when it comes to minors seem to recognize this). But why does it matter? you may ask. Vaccines are perfectly safe and completely necessary. That is absolutely true. And yet, there are still a lot of parents (like the ones in the CBC article, and the anti-vaxxers I sometimes see protesting downtown, or misinformed celebrity parents like Jenny McCarthy or Kristen Cavallari) who, for whatever reason, are NOT comfortable with vaccinating their children. Though their beliefs and concerns are (in my and science’s opinion) crazy, even dangerous, the fact is that these parents and their views do exist. Pulling their 14-year-old out of class and vaccinating them without prior notification or taking adequate steps to ensure informed mature minor consent only serves to fuel the paranoia that vaccines are some kind of “conspiracy” by Big Pharma and the government to poison kids or control their minds or do god knows what else to them. So what to do? How about sending a form home with students prior to vaccinations, explaining what viruses the vaccine is for, what the dangers of these viruses would be WITHOUT vaccination, listing the ingredients of the vaccine, and explaining that the levels of mercury, etc. contained in the compound are normal and safe? Then, the form can ask if there are any medical conditions medical staff need to know about or that may require the child to receive a vaccine with a different compound (for example, one that doesn’t use egg if the child has an allergy, etc.). If “mature minor” consent is to be used, the child can be given these forms instead and, now that they have been fully informed in a low-pressure situation, can sign for themselves. We shouldn’t have to defend a safe medical tool that has saved billions of lives, but for some reason we do. And because we do, we may as well be proactive in our approach, making sure accurate information about the safety and efficacy of vaccines is in the hands of parents and kids before fear-mongering misinformation has a chance to spread.